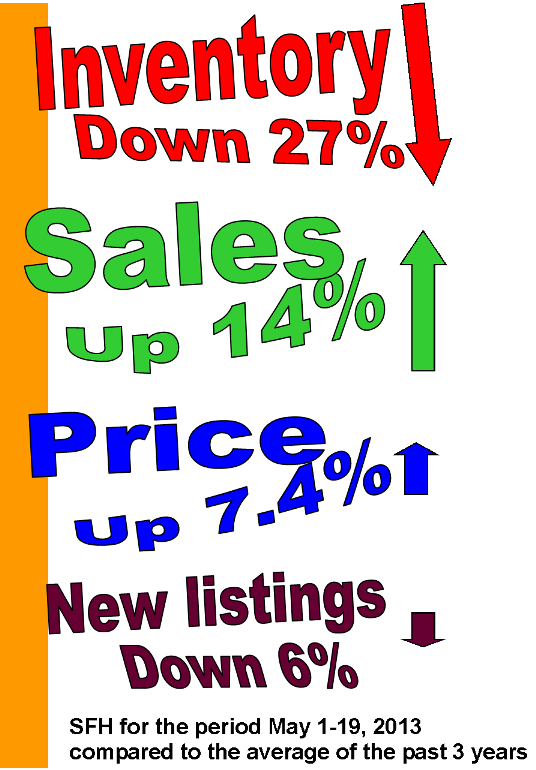 The direct relationship between new listings and sales continues to be evident. In short, when there’s nothing to buy, sales suffer. Sales are only up 14% whereas earlier in the month when they were up 22%, but that can be attributed to low inventory and a lack of attractive new listings. No, I meant Keystone – as in the approved development in the NW that will eventually be home to 60,000 people. It will be north of Stoney and west of the Deerfoot. Lot prices there will be interesting, considering Nenshi’s new requirements – no cul de sacs – and, I think, basement suites allowed. Lack of new lisitings may also be driving new homes sales – thus the lot shortage. Can’t find anything I like – I may as well build. Take a look at Currie Barracks north of Mount Royal Univ if you want to build your house. It is the 2nd phrases of Canada Land development. You can build the carriage house on top of garage and it is legally rentable.